Robert J Dutton's 2016 Plumbing & Heating Services! Well, we’ve nearly made it through January and we’re wondering how many of you have kept your New Year’s resolution? Here, at Robert J Dutton the New Year has given us a chance to reflect on the past year and come up with a few of our own too. Our plumbing & heating services in Loughborough are already efficient, professional and hassle free but we know there’s always ways we can do better. In our latest post, we’ve put together some ideas on how we can improve our service to you in 2016. So have a read below and see what you think! As always, if you do have any questions please don’t hesitate to contact us via our website or by calling 01509 502 402. The New Year is a great opportunity to make changes and what better way to make a change than replacing that rusty old boiler or having a complete new bathroom installed. If you’ve been putting it off for too long, now is the time to make that positive change! For a start, our professional team of 7 plumbing and heating engineers have years of experience in dealing with plumbing and heating issues and repairs. Having a fully certified and safety checked boiler can be vitally important for your safety. Don’t forget too, a new boiler can save you money through increased energy efficiency. At Robert J Dutton, we specialise in offering premium boiler fitting services as well as complete bathroom installation. 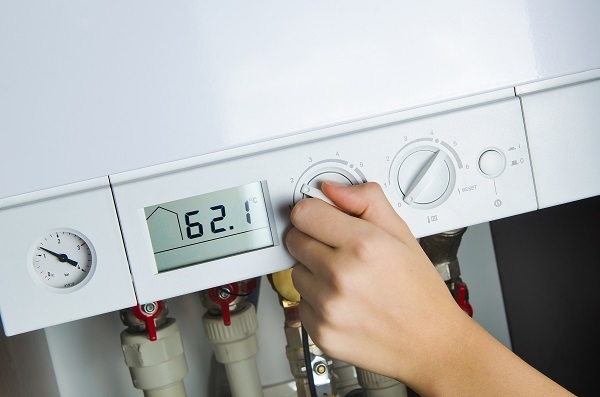 We install only high quality and reliable products from leading suppliers to minimise risk of any issues as we know your boiler and central heating systems are one of the most important necessities for a happy home. Looking Forward to Another Great Year of Service! At Robert J Dutton, we have a team of dedicated specialists who are here to help you at every stage of the journey. Whether you want to replace an old boiler or fit a completely new bathroom, we would be delighted to help! This year has already got off to a flying start and we’re keen to make the most out of what’s sure to be a great year providing help, advice and great services to homeowners in and around Loughborough. So, if you looking for an honest, knowledgeable plumbing and heating services then get in touch either through the online referral form on our website or by calling 01509 502 402 today! Our friendly, professional team of plumbing and heating experts are always on hand to give any help or advice when needed.